We at Bova are pleased to have purchased Tarot from the famous Bossoutrot herd where he has been breeding exceptional males and females. 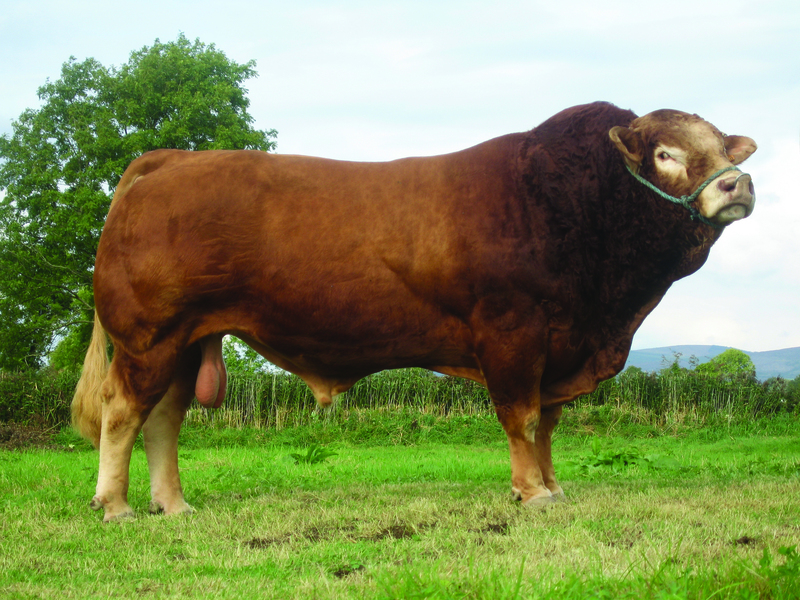 Tarot is an exciting new bloodline for Ireland being a son of the well known bull Prince B. His dam is a wonderful cow with great character and femininity. Tarot himself has excellent function, muscle, size and breed character and is transmitting these traits through to his progeny. Fred Bossoutrot has retained 2 sons for use within the herd. 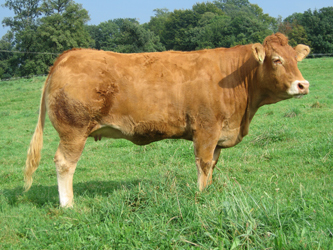 Tarot is a French proven bull who is doing an excellent job for the Bossoutrot herd in France. His progeny had an outstanding French National show at Argenton where they had 2 firsts and a second. 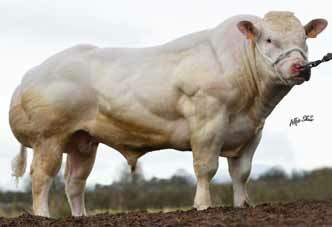 Tarrot is breeding power, size, function, top-lines, breed character and muscle. He is working particularly well on Navarin, Lino and Pacha 19 daughters. Use on medium sized cows. 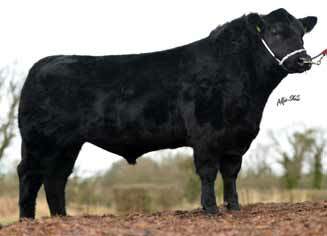 TXT son Derryguillane Eric, sold for €4,600 at Roscrea Premier Oct 2010. 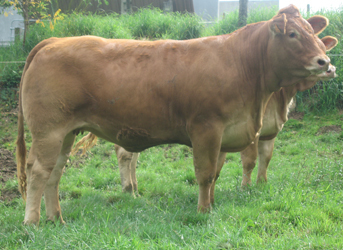 Ariane RRE (TXT daughter) is one of Gaec Bossoutrots top indexing cows. Top 1% of breed for Daughter Calving Difficulty. 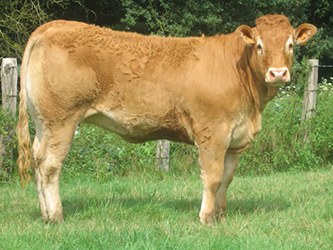 Excellent bull to produce high end cattle with excellent carcass traits. Ariane -Daughter of Tarot. 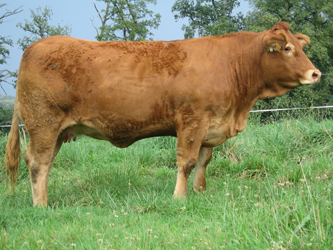 She was second in her class at the 2007 Brive Show.